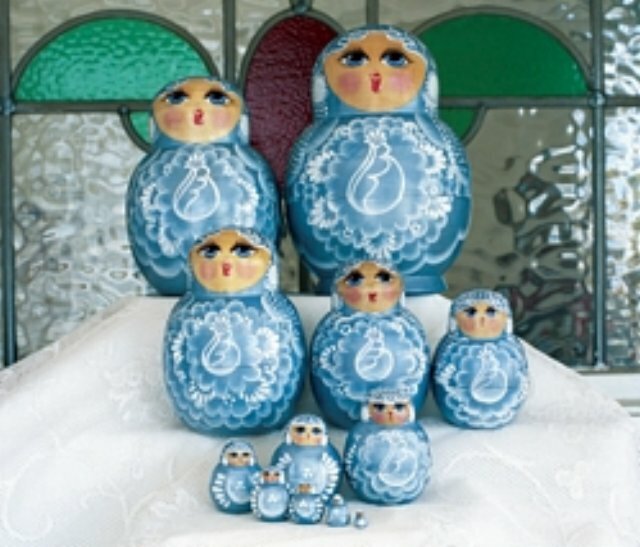 A set of 8 snowy ladies are a wonderful addition to any nesting doll collection. Each doll is hand painted with shimmering silver-blue and white for a real winter sky feel. Dolls range in size from 2 3/4" tall to a tiny 1/4" tall.